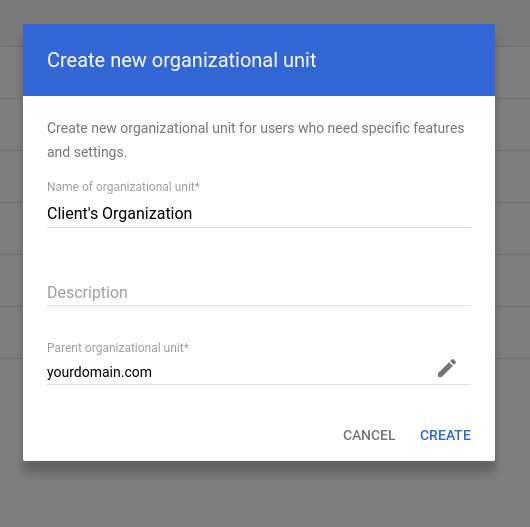 Creating an Organizational Unit (OU) for your Chrome Devices is an easy way to organize groups of devices and users. 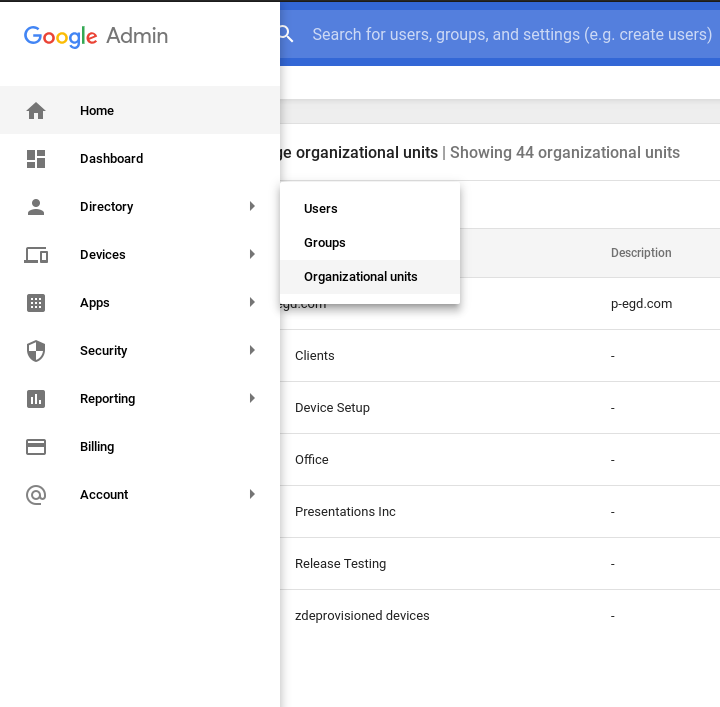 Use the main navigation menu in the upper left hand corner of the admin console to navigate to the Organizational units page under the Directory heading. Name your new organizational unit (OU) and place it under the desired parent OU. Click [CREATE].